OK, I will state that I do not like the word “fart.” It’s crude and vulgar, and I never use the word. But golly gee whillikers, it’s a hilarious description for the booming sounds that burp out of Seneca Lake! LOL. I’ll get to that odd phenomenon in a minute. 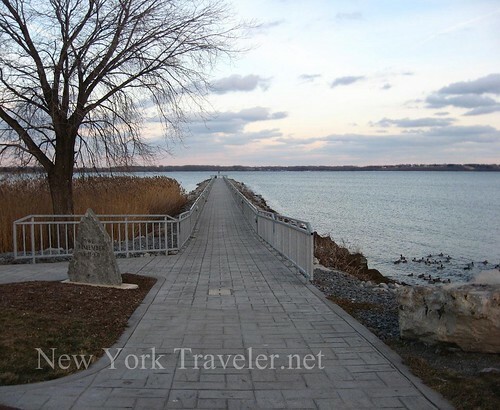 Seneca Lake is one of the Finger Lakes. The Finger Lakes are a cluster of eleven lakes in New York’s central/western area. 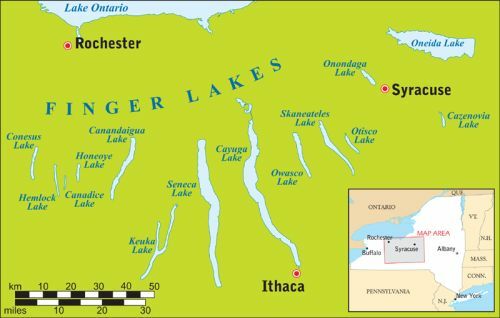 Seven of these lakes are considered “Finger” Lakes, so named because mapmakers thought they looked like a handprint on New York’s geography. 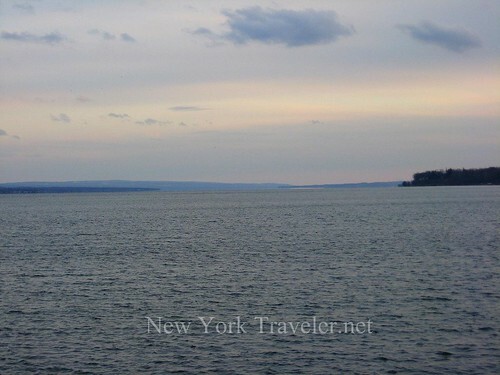 Seneca Lake is the second-longest of the Finger Lakes, but it has the most volume: 4.2 trillion gallons (16 km³). It’s deepest area is (gulp) 618 feet (188 m) deep. The lake is fed by underground springs, which keep the lake from freezing during the cold winters. The surface of the lake may even reach 70-80 degrees, due to its tremendous depth. And the lake is a looooong one– 38 miles long. We traveled from Geneva to Watkins Glen (top to bottom) and it seemed to take FOREVER. The views were very nice, though. 🙂 We stopped off at a few places to snap some photos. There’s a lovely park in Geneva with a magnificent view of the lake. 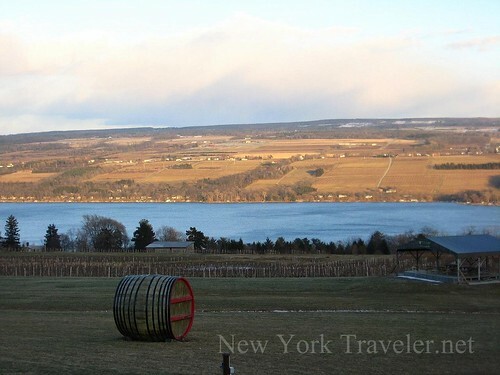 Seneca Lake has loads of wineries up and down its fertile shoulders. The views are just spectacular. This is a photo of Seneca Lake behind Glenora Winery. You can see how narrow the lake is. 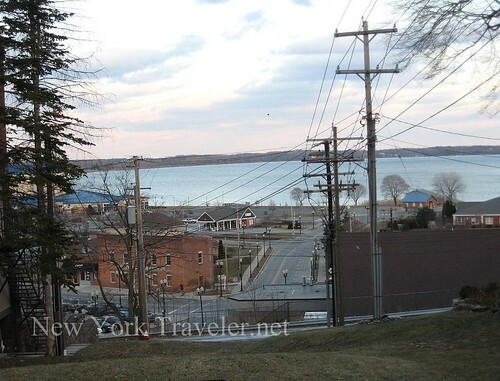 Seneca Lake has a quirky phenomenon, as I mentioned: lake farts. The locals call it “Seneca Drums” or “Guns of the Seneca” (yah, I’d be ashamed to say I lived near “lake farts,” too). The sound is reported to be that like cannons booming, or a sonic booming, or distant thunder even though the entire sky is clear of clouds. The booms can be so loud as to produce shockwaves that rattle dishes in the cupboards. People have NO IDEA where the noise comes from. It’s been going on for centuries. The Iroquois tribes, who lived here over 200 years ago, have a whole legend around it. The Seneca Indians believed the sounds were from the Great Spirit, who was still shaping the earth after creation. Another legend says the god of thunder is grumbling about something. There’s been some speculation that perhaps the sounds come from the natural gas under the lake, when the gas bursts forth from cracks at the lake’s bottom (New York State has enormous deposits of underground natural gas). But the problem with that is natural gas emissions usually show bubbles, and sometimes even flames, on the surface of the water. Seneca Lake remains calm when the lake far– oops, “Seneca Drums” starting bongo-ing. Other explanations are that the lake sits on shifting tectonic plates, but there is no evidence at all for that explanation. So the Seneca Drums remains a strange mystery. Seneca Lake is a beautiful lake. I wouldn’t let the threat of indigestion keep me away. And just for the record– these booms occur in other areas of the world, too. They have been heard in India, in the Ganges Valley– the Indians call them “Barisol Guns.” They are called “uminari” in Japan, and “brontidi” in Italy. Here in the U.S.A., they can also be heard in Connecticut, on the North Carolina coast, and in another one of New York’s Finger Lakes, Cayuga Lake. Weird! 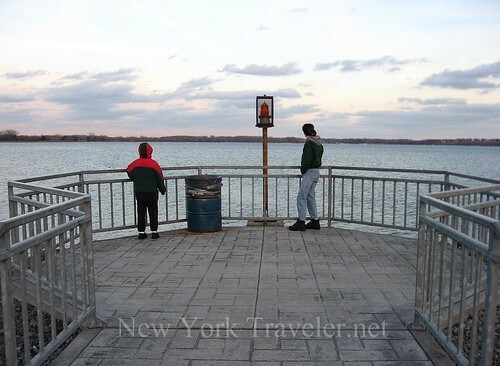 To learn more about tourism at New York’s Finger Lakes, see www.fingerlakes.org. I totally had to re-read your post title! LOL. With a title like that, how can ya NOT read on? 😛 Lovely pics and those sounds coming out of the lake are quite the mystery. I’ve not had much of an opportunity to see much of the finger lakes area, but it is definitely a place I’d love to explore more someday. Well, who knew??? I never heard about this one! That’s so funny…I just did a post about farts. Not a vulgar one, just something that happened to us and some friends. I wanted to say too, I love your articles as well as your new blog design. Nice job! Hi There! Very nice, fun read for sure. Love the photos also, very beautiful area. I wanted to look into buying a coffee shop/bed and breakfast all in one place in this area about 3 years ago. Then let it slip by and never did. Still wish I had looked into it. Ha! You got me here with that title. LOL What a beautiful place. Very long lake isn’t it? I am back to dropping from My Road. I thought I’d give it up but changed my mind. When I recently visited one of the northern vineyards on Seneca Lake, they used a ‘bird scare cannon’ to protect the vineyards from bird predators. It produced a fairly impressive boom. Wouldn’t be an explanation for the ‘mystery’ would it? Hi Kay! I don’t think the bird scare cannon causes the lake noises. This phenomenon has been going on for over 200 years. Even the Indians heard the sounds and built legends around it. And there are records from the early American settlers of hearing the noise. So… it remains a mystery. Being raised near the FingerLakes, and visiting all of them, I never heard of Seneca Drums, until we settled near the ocean, at Holden Beach, NC..and shortly after moving here, our home shook, dogs barked, cats skated, and I shook thinking something major had exploded. Placing a call to 911, you can imagine my surprise when told, no that is Seneca Drums. So familar was I to Indian Tribe Names, and living in FingerLake Heaven, for the life of me, and until this day when I went to ASK, and typed in Seneca Drums, and behold, I am enlightened, thank you very much, and instead of wondering about our large booms, I will remember fondly, Seneca Indians, and all the beautiful Lakes, I took for granted. I am homesick.. I grew up between Seneca and Cayuga, but I’ve never heard the Drums. I also spent a few years in Cayuga County… never even heard OF them, till a few years ago. But apparently, the Drums do exist. I’ve spent most of my 40 summers on the lake and have heard them only a few times. However, this 4th of July weekend I heard the most distinct far… I mean drum that I’ve ever heard. And no, it most certainly was not fireworks, thunder or a powerboat starting up. There were many of us on shore (my wife and I were in the boat house when it happened) and we all came out, looked at each other and realized it was the drums. Check out some of my pix here http://mypix.gotdns.com/ from Seneca and Watkins Glen. Matt, LOL!!! You heard the drums! That is very cool. As a Boy Scout camping at Camp Seneca during the late 1950’s I remember hearing the “Seneca Drums”. Back then we slept in small cabins located on the beach not far from the water’s edge. As it were summer, we slept with all windows open, and enjoyed the gentle breeze from the lake. The drums seemed to be more pronounced at night, after dark and sometimes were pretty loud. We now live in Coastal North Carolina and really miss beautiful Seneca Lake. RF Pierce, thanks for your comment! 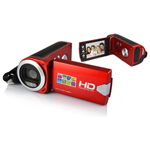 Your experience is amazing! I spent summers on the lake and I remember hearing the boom one night. The next day we discovered that the lake had turned over. Listen I have Been on this lake for 35 years and nites and never have heard of this non-sence.I live next to a indian burial ground that is marked.Who ever came up with this is Bull.Found many Idian stuff from a-z but the drum thing is just complete bull..